Great starter home for a large family. 3 bedrooms on upper level plus 1 non conforming bedroom in the basement as well as 2 and a half bathrooms. Kitchen appliances are included. Title floor in living room and dining area. The spacious back yard is perfect for those hot summer BBQ's. Some work and this property will shine. Property sold "As Is". 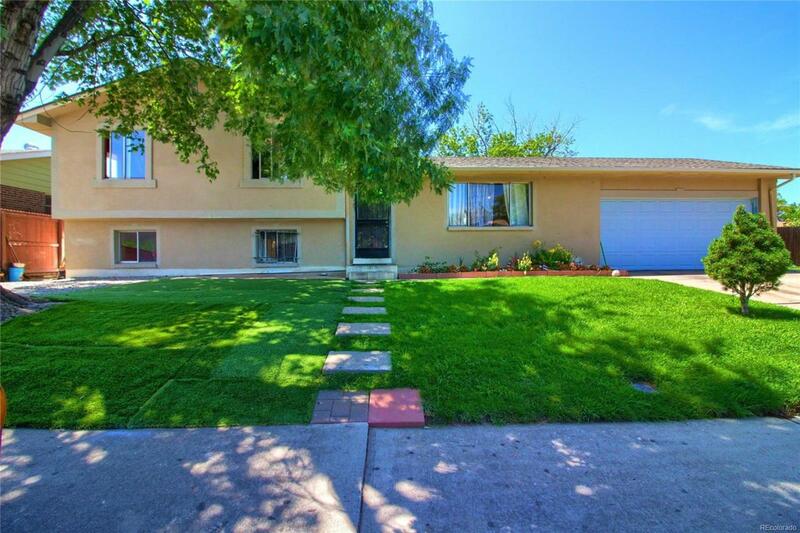 Buyer backed out before doing an inspection.For virtual tour pleasr go to: https://getawalkthrough.com/listingNew/Denver/5155_Titan_Ct.